It seems like these days everyone is talking about the cloud… Whether you’re new to the technology space, the accounting industry, or both, the phrase “cloud accounting” is probably something that you’re hearing a lot about. But what is cloud accounting? If you’re unsure, or still in the exploratory phase, this blog is for you! Cloud accounting software leverages cloud hosting on remote servers, similar (Software-as-a-Service (SaaS) models, but with the flexibility, scalability and collaborative force of working in the cloud. With cloud accounting, finance teams can benefit from real-time reporting and visibility throughout an organization, with mobile collaboration empowering teams to keep accounts balanced, accurate and updated any time, any day and from any location – accounting efficiency and transparent financial management never stop. Do you want to shorten your monthly close from seven to just two days, and cut the time you spend generating standard financial statements and employee revenue reports by ten hours a month? Would you like your business to go from spending nearly four days a month combining and reconciling financials in Excel, to automated processes that allow you to focus on reviewing and understanding your financial analytics? Do you want to start working with a user-friendly solution that would eliminate the need for duplicate data entry, streamline revenue management and other financial processes; reduced monthly close by one full day each month? Would you like to gain the ability to easily track, manage, and report on profitability and other financial trends across multiple entities – helping your enterprise make optimized, informed decisions on everything from staff utilization to vendor relationships? Did you know accounting software can also be a module of or integrated within a company’s ERP suite – and accounting software can help your organization streamline and automate finance management processes? The reality today is, accounting is one of the key business operations increasingly shifting to the cloud. Companies can choose from a variety of cloud-based software to handle budgeting for different projects and departments, performing financial forecasting, tracking accounts payable and receivable, managing cash flow, and generating financial reports. When considering your options for cloud accounting services, here are five qualities to look for a few key characteristics. Strong Security: Given the sensitivity of financial information, and how attractive cyber criminals find it, security is a top priority for cloud accounting. Security includes powerful encryption, firewalls, anti-malware programs, and reliable methods of preventing unauthorized log-ins. Round-the-clock monitoring is another protective measure used to detect suspicious activities and block intrusions. Only employees who have received the appropriate privileges should access the data. Software Reliability: Minimal downtime is an important proof of a program’s reliability. No matter what device you’re using to access your cloud accounting solution, and no matter what time of day it is, it’s available. Furthermore, you enjoy the peace of mind that comes from knowing that your data is backed up, and that you can recover it quickly should you experience an IT disruption. Backups of your data should exist in more than one location, and should capture your data regularly throughout the day. Should you need to restore your data, you won’t have to rely on outdated backups. Cloud Clarity: Cloud accounting is potentially dynamic, giving you a real-time picture of your company’s finances at different levels and for different projects and operations. The cloud accounting service you use should allow you to perform analyses in a straightforward way and develop meaningful predictions. It should help you easily create reports showing both the current state of your finances and projections for the coming months and years. As companies grow, they need to manage more clients, transactions, and currencies. Cloud accounting software solutions, such as Sage Intacct, can help businesses scale quickly and easily to meet growing operational demands. Cloud accounting solutions present cost effective alternatives to traditional on-site ERP systems. 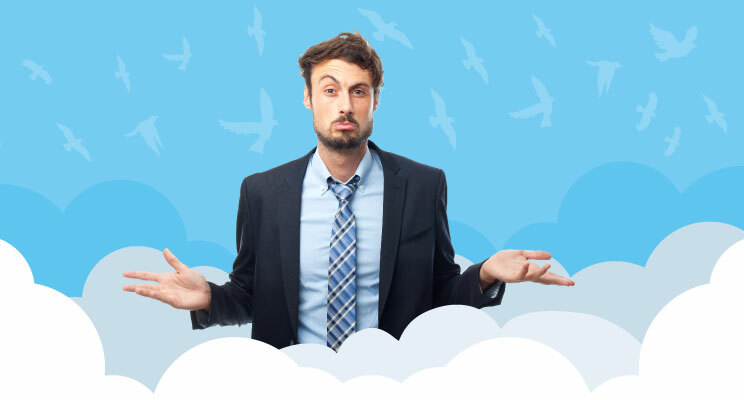 Cloud accounting is a great choice if you want to do away with worrying about upgrades and maintenance fees – and it’s flexible because you pay only for users currently in the system. Deployment is quick and efficient. It’s time to look at the cloud in a different light when it comes to financial management – cloud accounting is here to stay.